Based on the cartoon strip by Hal Forrest, this thrilling serial faithfully re-creates all of the exciting characterizations and non-stop action followed by millions in the daily comics. 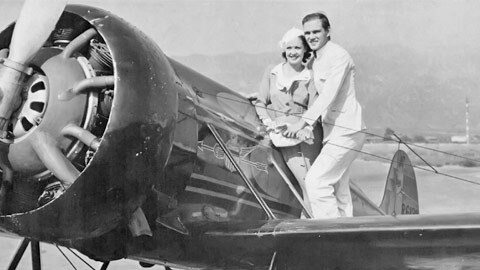 Tommy Tompkins is a youthful auto mechanic recruited to fly for the Three Points Airlines in a race against time for a mail-delivery contract against airline rival Tiger Taggart. 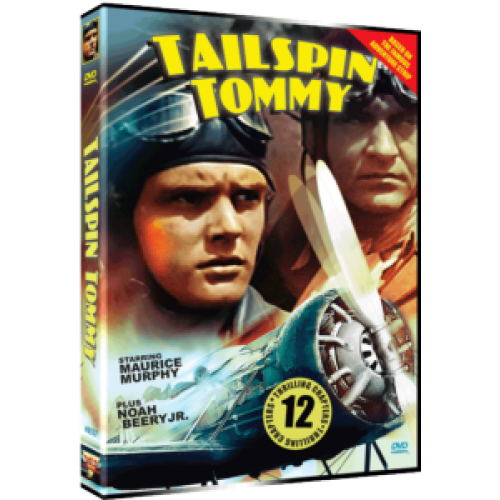 After winning the contract, Tommy becomes a full time pilot and a local hero when he saves a crowd of children from being killed by a runaway plane and also later prevents a railroad catastrophe. 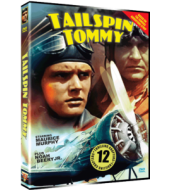 Taggart becomes infuriated by Tommy’s success, and along with his henchmen, sabotage the airlines and try to crash Tommy’s plane in a series of aerial “dog fights” that will keep you on the edge of your seat with some of the most remarkable stunt flying ever filmed.